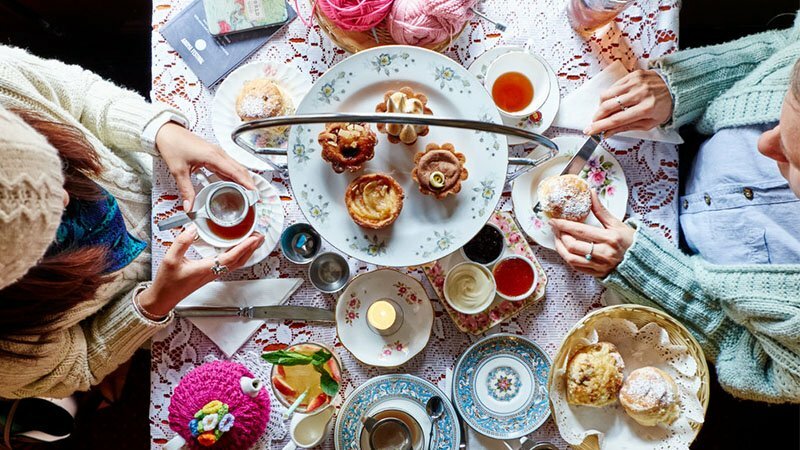 High tea is an English tradition like no other. Invented in the 1840s by Duchess of Bedford, Anna Maria Russell, high tea was afternoon tea, enjoyed by the masses of the English upper class. Today, this tradition is for all, and Sydney has some of the best places to indulge in the traditional affair. With jaw-dropping views, mouthwatering desserts, vegan options and modern twists, there’s something on this list for everyone. There’s nothing quite like high tea, and these locations are so exquisite, they’ll make you feel like royalty. Indulge in the beauty and decadence of high tea in the prestigious Palm Court at the Langham. 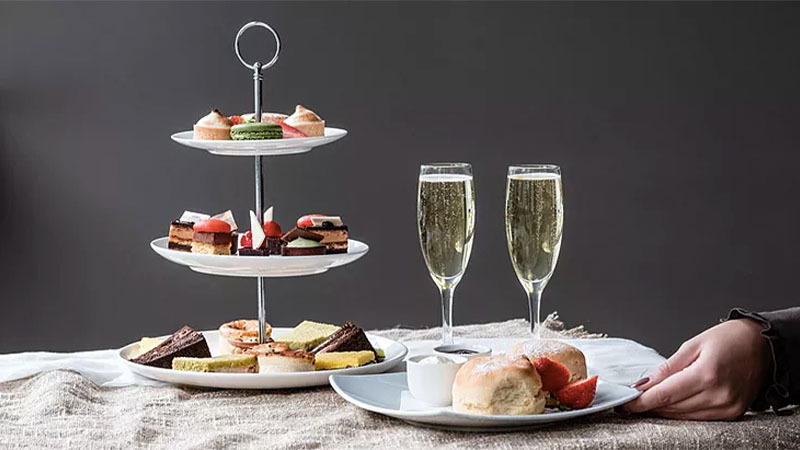 Famed as one of the most beautiful spots in Sydney for high tea, Afternoon Tea with Wedgewood is filled with delightful food; it’ll be a day you won’t forget. On the menu, you can expect magnificent homemade pastries and tea cakes, such as hibiscus and guava tart and their signature cream, jam and scones. Bathe in the natural light at Palm Court and experience a high tea like no other. 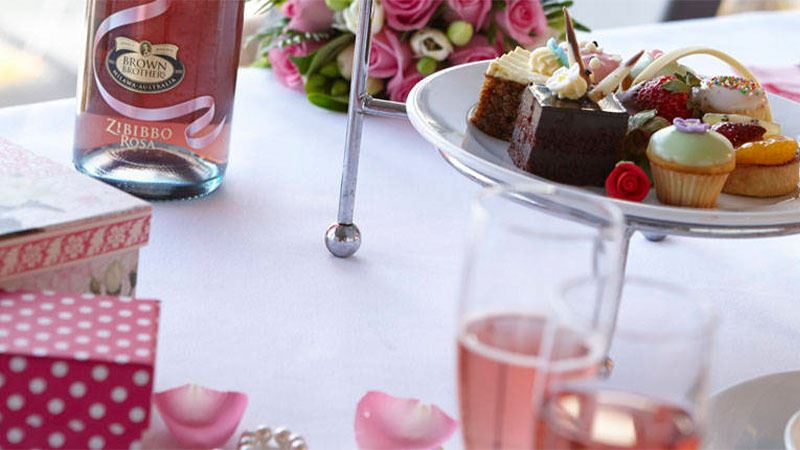 Revitalising the definition of high tea, Passiontree Velvet has created a range of high teas to suit every occasion. Choose from the British teatime classic, Devonshire Cream Tea, afternoon scones, clotted cream and strawberry jam. 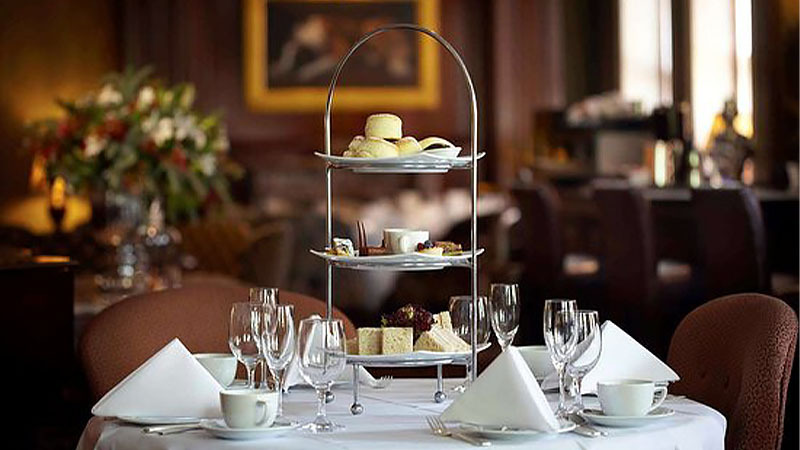 When you want to be royalty for a day, look no further than the Duchess Full High Tea. 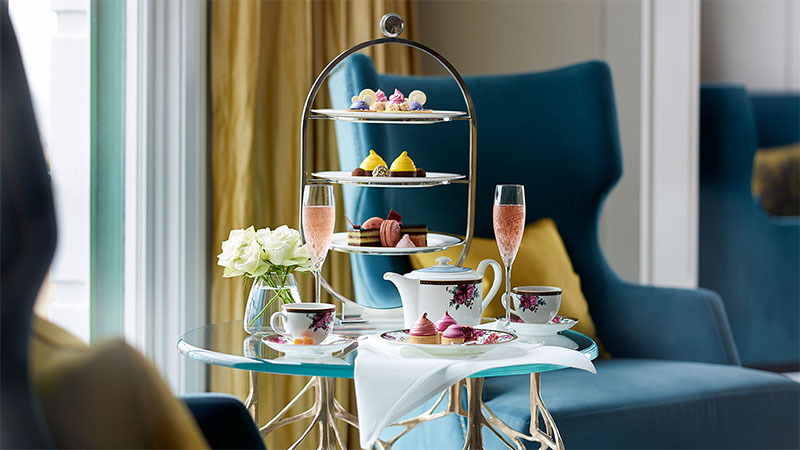 The epitome of elegance, the Duchess High Tea is named after Anna Maria Russel, the inventor of high tea, and is complete with assorted ribbon finger sandwiches, English scones, and an array of high tea treats. The Teddy Bear’s Picnic is a high tea dedicated to kids, served with ham sandwiches, strawberry macarons and juice. This high tea is so beautiful that the Duchess herself would approve it. 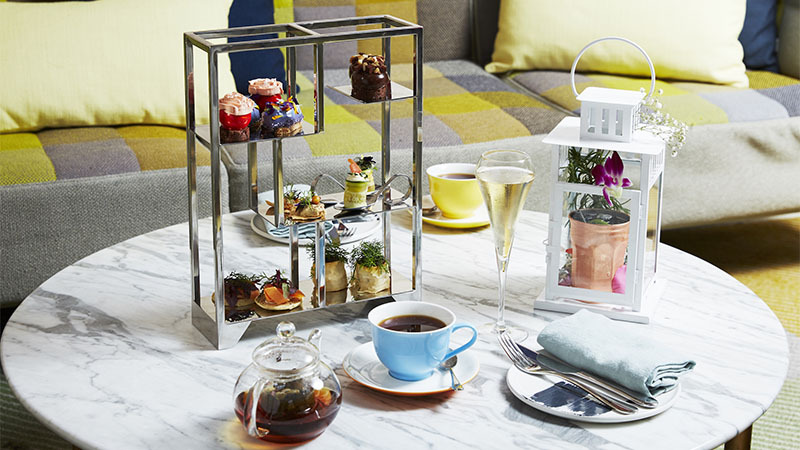 Taking inspiration from Hyde Park, this amazing high tea is one you shouldn’t miss. 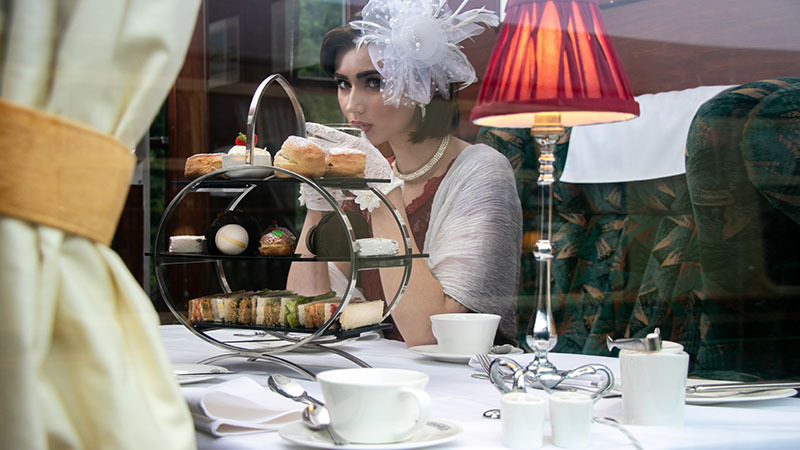 A traditional event with a modernist twist, the High Tea Experience at Gallery on the Park tells the story of two worlds. Celebrating the natural surroundings of Hyde Park, enjoy a blend of modern cuisine, with references to nature and the ultra-modern art of the Gallery. Mouthwatering food and beautiful views are just the beginning at Gallery on the Park. 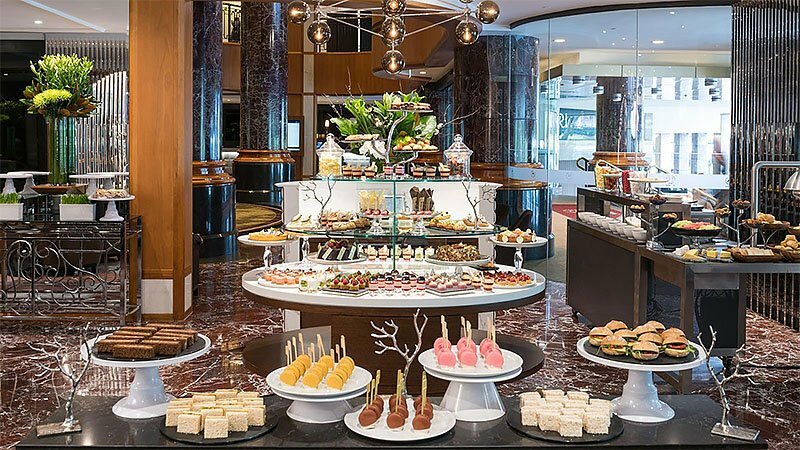 Dubbed as Sydney’s most iconic high tea, the high tea at InterContinental is a magnificent way to spend an afternoon. Keeping with the English tradition this decadent and extravagant event is filled with delicate, fruity and chocolatey treats that are sure to leave you wanting more. With food as delicious as this and insanely lavish, this traditional and beautiful high tea experience is iconic for a reason! Jump aboard the Captain Cook Cruise for a high tea you’ll never forget. This high tea at sea sets sail with some of the most delicious food, while you soak in the beautiful Sydney skyline. Starting with pink bubbly, enjoy tantalising treats and savoury options while you cruise along and see the million dollar views of Sydney Harbour. It’s the perfect event for a romantic date or just a day out with friends and family. This high tea is so magical that you’ll want to come back again and again; hook, line and sinker. 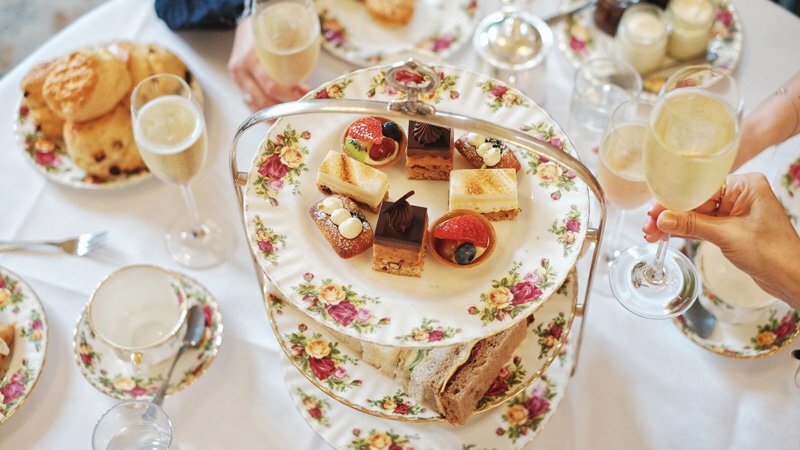 Indulge in a European high tea experience while in the heart of Sydney at the Tea Room. Located in the Queen Victoria Building, you can enjoy world-class cuisine and ultra European-inspired dining. With mouthwatering selections of petits fours presented on Royal Albert fine china and British silverware settings, you’ll feel as if you’ve stepped into a royal banquet. Whether you’re celebrating a birthday or a great week at the office, any excuse is a good reason to visit the Tea Room. Enchanting and peaceful, high tea at Vaucluse House is a sight needed to be seen to be believed. 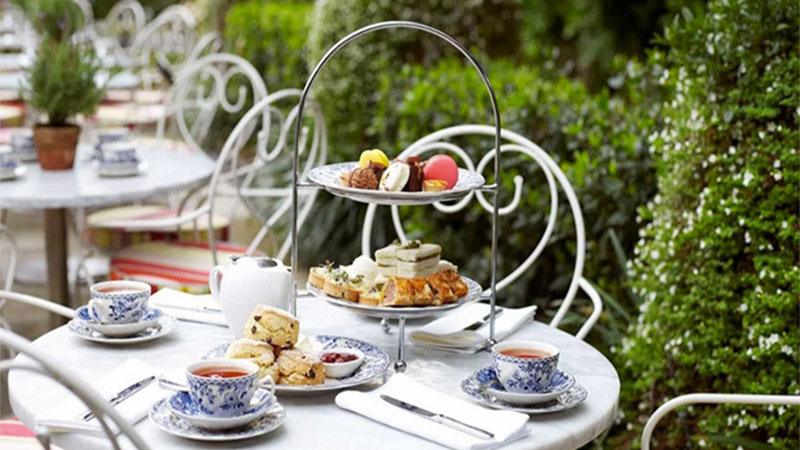 Located on a former-colonial estate the Tea Rooms are surrounded by luscious gardens rolling down to Sydney Harbour. Enjoy a glass of sparkling wine, something savoury and something sweet, relaxing and taking in the oasis of Sydney’s beautiful greenery. This high tea is ideal for weddings, christenings or just a relaxing afternoon. 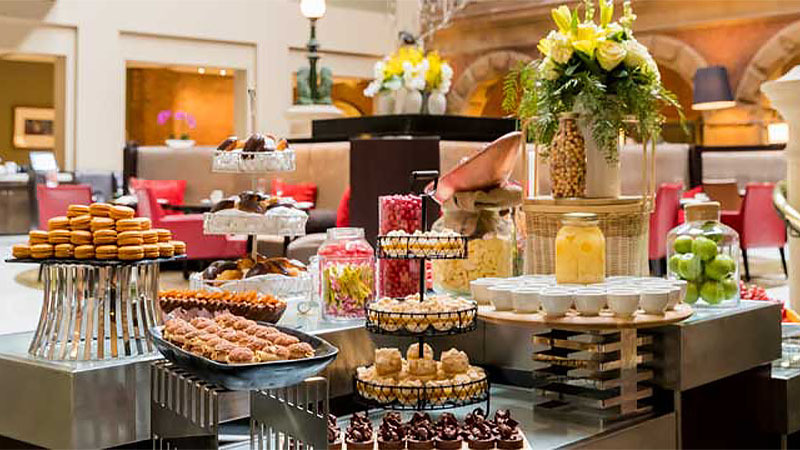 Spend an afternoon dedicated to luxury and pampering at high tea at the Marriott. Served with a glass of champagne or a cocktail, you can spoil yourself with tasty sweets, treats and savouries, beautiful flowers and, of course, tea. 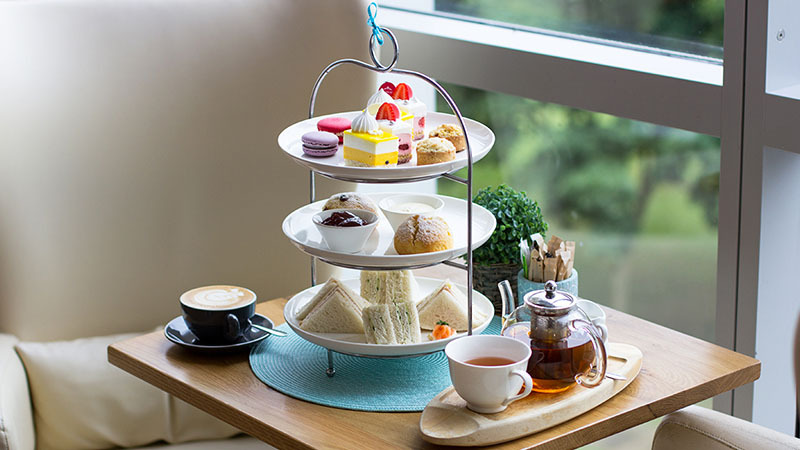 Choose from three different high tea options, including the “Bubbly High Tea”, “Premium High Tea” and the “Ladies Pamper Afternoon High Tea”, where you can immerse yourself in a real pampering experience, complete with a mini manicure while you’re eating cakes. An afternoon like this is one not to be missed. One of the most spectacular and stunning views Sydney has to offer, it’s no surprise that Gunners’ Barracks has such a spectacular high tea. The historic Gunners’ Barracks has breathtaking views of Sydney Harbour, nestled amongst the luscious greenery of the North Shore. An array of sweet and savoury sandwiches and petit cakes are just the beginning at Gunners’ Barracks; enjoy freshly baked scones served with clotted cream and jam and a glass of sparkling wine or a cocktail. With 41 different tea selections on offer, and a view this spectacular, you’ll never want to leave! Enjoy tea and scones like nan used to make at the Tea Cosy. 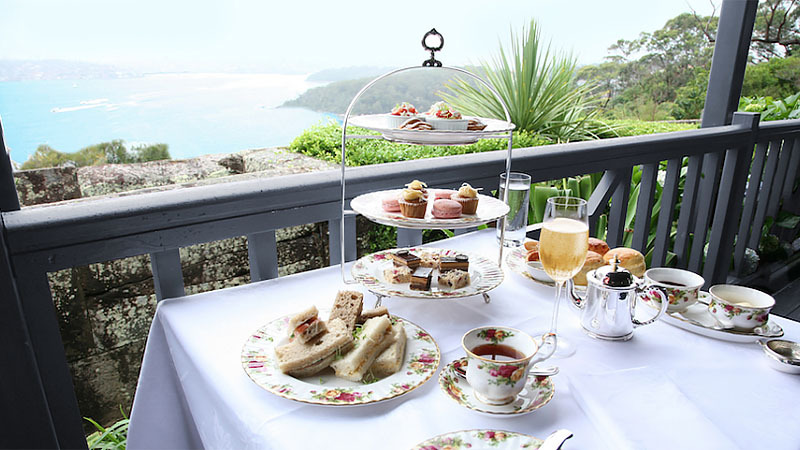 Tradition as old as time, indulge with legendary Devonshire tea, world-famous scones and jam, while tucked away at the heritage listed building on the Rocks. With aromatic tea, Australian-made jams and freshly baked scones, this high tea is perfect for an afternoon of relaxing and unwinding after a long day. Surrounded by fresh flowers and beautiful food, what more could you ask for? Not all high teas are served with a side of guilt. For those who wish to have the enjoyment of a high tea afternoon, but who are health conscious, Stamford’s high tea have you covered. Partake in fluffy scones, homemade jam and cream, with fresh fruit, vegetables and delicious healthy savoury options. For those who wish to experience an authentic, decadent high tea, Stamford also offers this service complete with French sparkling wine and mouthwatering treats. Even the kids can take part in the beauty of high tea with their own crafted menu. High tea at Stamford is perfect for anyone, any afternoon. Feel good about yourself and enjoy a sweet treat at Alibi Bar and Dining. A unique plant-based high tea, encompassing Matthew Kenney’s philosophy, has reimagined clean eating for a high tea setting. The perfect combination of classical and innovative cooking has created a whole new subculture of high tea. Locally sourced, mouthwatering vegan delights and jaw-dropping beverages, this isn’t just high tea, it’s your high tea. Take high tea to new heights at the Shangri-La. 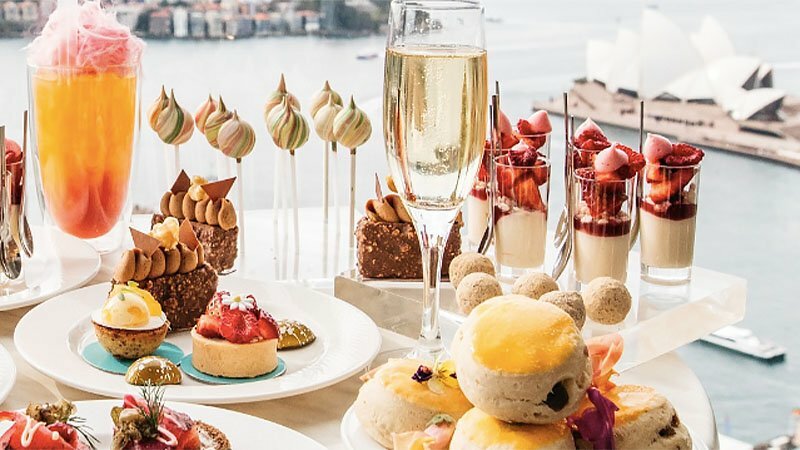 Descending over the beautiful views of Sydney, be mesmerised by the skyline and the eye-opening food on offer at this extravagant high tea. Located at the iconic Blu Bar, start with a pink mohawk cocktail and an array of colourful delicacies, crafted by Executive Pastry Chef, Anna Polyviou. You can’t get much better than endless cocktails, spine-tingling and delicious food, now can you? High tea, catered by High Tea Delights, is one of the most luxurious and decadent experiences that brings high tea to your location. Choose from three tea services, “Little Pleasures”, “Sweet Indulgence” and “Marie Antoinette”, perfect for groups of 15-30 people. 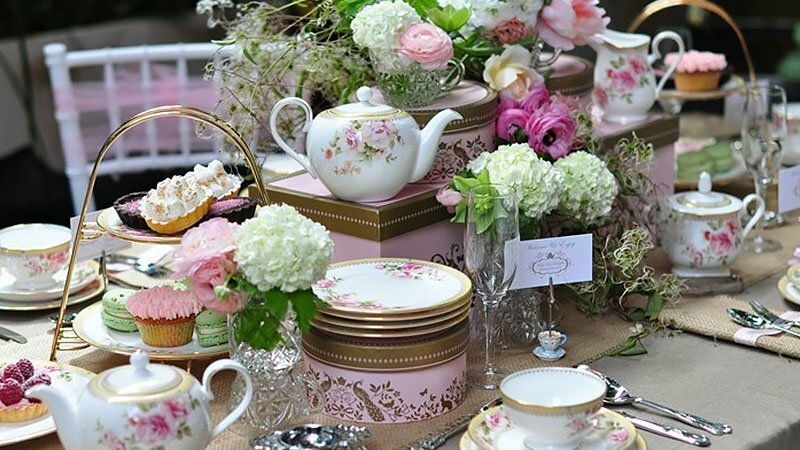 Simply prepare the tables and chairs, which you can hire from High Tea Delights, and let them take care of the rest. Delicious food, bubbly beverages, and traditional tea, nothing is too much! Don’t even worry about washing up; they handle that, too. This event is so extravagant that by the end of the day, you’ll let them all eat cake!